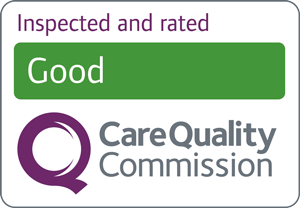 The Trust is committed to providing the best possible service for our patients, their friends, relatives and carers. By seeking their opinions, we can better understand the needs of this diverse group of people and tailor our services specifically to them. Therefore we aim to involve our service users in all aspects of the Trust’s operation and development from the Trust Board to individual teams and projects. Service users and carers can register their interest in a variety of activities, from helping to interview staff, taking part in mental health research, carrying-out Patient Environment Action Team (PEAT) inspections with clinical staff to ensure basic standards of cleanliness and upkeep are being met and joining unique service user groups. Find out more by visiting the C.A.R.E. Hub page. There’s also the opportunity for people with mental health and substance misuse problems, their families and carers as well as health care professionals to get involved with delivering and attending free courses that are run at our Recovery Academy. Take a look at the Recovery Academy’s prospectus by visiting the Recovery Academy page. If you want to find out about the interesting and rewarding voluntary work available, please visit the Volunteering page. Additionally we provide our users with the information that they need to make informed choices about their own care and decisions about the way services are run. We provide pharmacy information on an external website named Choice and Medication. The website is aimed at helping you make a decision about a treatment, mainly medication. On the site you can search for information about individual medications including their side effects. You can also find out more information on specific conditions and the treatments available for them.